Michael Henderson launches into an enormous boogie groove with Billy Cobham and John McLaughlin. Miles immediately leaves the control room to join in with them. He achieved exactly what he wanted for the soundtrack of the documentary devoted to the black boxer Jack Johnson by creating the effect of a train going at full speed (which he compared to the force of a boxer). That’s how side A of the LP Jack Johnson begins. By chance, Herbie Hancock had arrived unexpectedly and started playing on a cheap keyboard that a sound engineer quickly connected. Later, Teo Macero taped John McLaughlin’s riff on “Sing A Simple Song” by Sly Stone. Side B begins with a bass riff inspired by James Brown’s “Say It Loud” and ends with “Willie Nelson,” a piece recorded in a previous session. 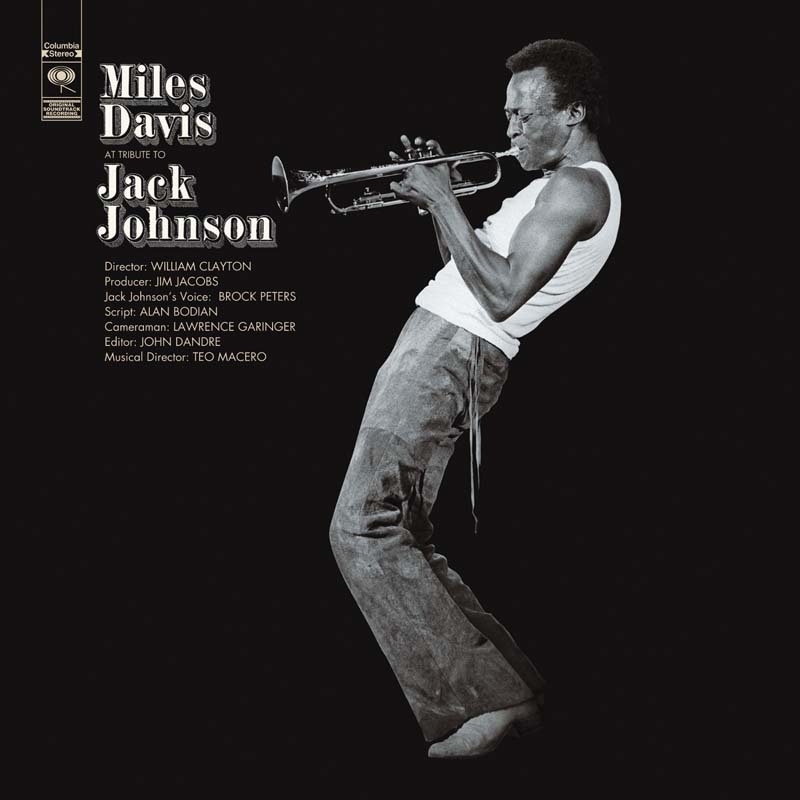 An a cappella improvisation by Miles, arranged in a variety of ways by Teo Macero, was featured as a leitmotif throughout; a phrase spoken by Brock Peters was superimposed as a coda. Columbia didn’t believe in this album and hastily released it. Today it is a cult record and strong seller.